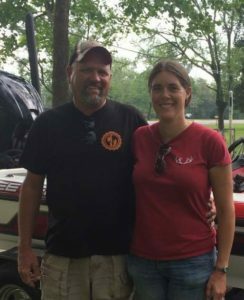 Leslie and Robert Brown win on Lake Bastrop! The Mr. and Mrs. Bass Club of Austin held it’s first tournament of the 2012 season on the warmer than typical waters of Lake Bastrop. This was the first time the MMBC held a paper tournament where pictures of the fish on the measuring board must be presented at weigh in. It worked rather well. 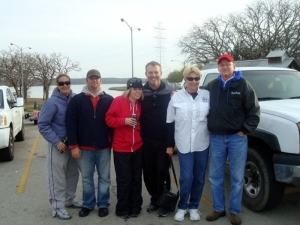 We kicked off the 2012 season with nine teams showing up to challenge the bass in Lake Bastrop despite the cold and windy conditions. The 2010 Anglers of they Year, Leslie and Robert Brown took top honors on this day. Since this was a paper tournament, there was no Big Bass money awarded. February takes us to Fayette County lake where we hope to land some of the large bass that Fayette County Lake is known for.